Home > Legal Articles > Vehicles and Traffic > Should You Fight Your Traffic Ticket? While many people instinctively want to "beat the system" after receiving a traffic ticket, there are some factors that should be considered before deciding whether or not it is worth the effort to fight a ticket - or how a ticket should be fought. Many people are disappointed by their first experience with traffic court. It is not uncommon to hear people complain that the magistrate overseeing the traffic court did not listen to a single word of their defense, or that the officer lied and got away with it. When you consider fighting a ticket, be aware that it is usually an uphill battle. The most important initial consideration is to know what you are being charged with. A traffic ticket will indicate, usually through a code, what offense the driver committed. There are statutes and ordinances that correspond to every traffic violation. The most important initial consideration depends upon whether you are charged with a civil infraction - a traffic offense that is punishable by only a fine and the possibility of points on your driving record or other driver's license sanctions - or a traffic misdemeanor, a charge that is a criminal offense. If you are charged with a traffic misdemeanor, it is a very good idea to consult with a lawyer before deciding how to proceed, as conviction as charged will result in your having a criminal record. Often it is possible to plea bargain a traffic misdemeanor down to a civil infraction, but it will benefit you to know local policies and practices before you approach a prosecutor with a request for such a deal. If you are considering fighting a ticket, research the law to find out the elements of the violation, and whether you in fact violated the law. Sometimes it turns out that the conduct observed by the officer cannot support the ticket. It is always beneficial to consult with a lawyer, and almost always a very good idea to hire a lawyer, when you are charged with a criminal offense, including a traffic misdemeanor (e.g., reckless driving, drunk driving, or driving with a suspended license). Even for a civil infraction, if you are from out of town it may be easier and cheaper for you to hire an attorney to appear in court on your behalf than to return to the jurisdiction to fight the ticket. For civil infractions, some jurisdictions will allow an attorney to argue on your behalf or to enter into a plea bargain even if you are not present. It is usually beneficial to consult with a lawyer if you have a prior record of driving offenses, and are concerned about keeping your license. Such a consultation will give you a good idea of whether you should retain a lawyer's services to help you defend against the ticket. if your insurance premiums are not likely to rise significantly as a result of conviction. Please note that for traffic misdemeanors, even if you have a spotless record you will usually benefit from retaining counsel. In most jurisdictions, civil infractions are handled in a manner that mixes some of the elements of a civil action with some of the elements of a criminal action. Typically, you will have the opportunity to enter a plea by mail, or to schedule a court date to appear before a judge, magistrate, or hearing officer in relation to the ticket. There may be an opportunity to plead "guilty with an explanation", whether by mail or in court. 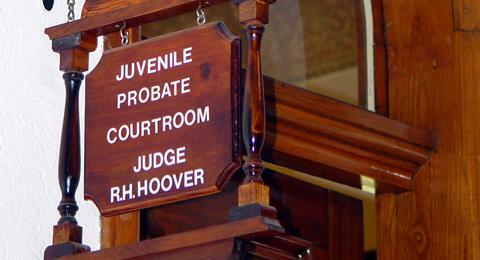 In some courts, a prosecutor will be present from the start to handle any hearings that might be necessary. The prosecutor will typically review your file and driving record, and may offer you a deal if you plead guilty to a particular traffic offense. In a minority of states, no prosecutor is present in court for non-criminal traffic court cases. Some deals are better than others. For example, if you have been issued two tickets and the prosecutor offers to dismiss one if you plead to the other, the deal may have little effect on your fines and no effect on the driver's license points that you will receive. On the other hand, "dismissal on costs" or the taking of the ticket "under advisement" can be a tempting offer even where you have a very strong defense. In a "dismissal on costs", after you pay a fine and court costs the ticket is dismissed and you don't get any points. If a ticket is taken under advisement and you don't get any more traffic tickets within a particular period of time the ticket will be dismissed. Not all jurisdictions permit traffic tickets to be taken under advisement. In some jurisdictions, it may be possible to attend traffic school in order to avoid a conviction on a traffic ticket, or to reduce or avoid points from a ticket. If you are charged with a traffic misdemeanor, such as reckless driving or drunk driving, you will have additional rights as a defendant, as you will be facing actual criminal charges. The first court hearing on a misdemeanor is normally an arraignment, where the charge is read to you and you are asked to enter a plea. It is a bad idea to plead guilty as charged, as it is frequently possible to work out a plea bargain to a criminal charge which will either reduce the charge or limit the possible penalties. If you plead "not guilty" or "stand mute" and have the court enter a not guilty plea on your behalf, the next hearing is ordinarily a pretrial where a prosecutor will be present. The purpose of a pretrial is to determine whether a case should be scheduled for trial, and how much time should be allotted by the court for trial. If you are offered a very good deal by the prosecutor, such as having the criminal charge dropped if you plead to a particular civil (non-criminal) infraction, you may want to consider that offer so as to rule out the possibility of a criminal conviction. If you are not sure about the offer, you can tell the prosecutor that you will probably accept it, but would like to first speak to a lawyer. Most prosecutors will be amenable to scheduling a subsequent plea hearing where you would be able to accept the plea offer. Otherwise, the matter will be scheduled for trial. It makes sense to consult a criminal defense lawyer before talking to a prosecutor about the charge. Even if you have to pay for a consultation, a lawyer can help you anticipate the type of offer you should receive, and whether or not you should accept a particular plea bargain. You don't necessarily have to hire a lawyer to appear in court with you - but it will usually benefit you to have a lawyer's advice. If you are charged with a felony offense which involves your motor vehicle, always consult with a lawyer. If you cannot afford a lawyer, request court-appointed counsel. The charge against you may involve a subjective evaluation of your driving conduct by the officer. For example, if you are charged with "careless driving", the officer will have to describe conduct which was in fact careless. It may be possible to counter with an explanation for your driving conduct, based upon events beyond the officer's awareness - and which may even be consistent with what the officer has described. If you are accused of making a sudden and dangerous lane change, almost striking another car, you may be able to reply that the car in front of yours had suddenly applied its brakes for no apparent reason, and you were responding in the best possible manner to avoid an accident. If the officer was behind you, you can point out that the officer's view of these events was obstructed by your vehicle, and by the other vehicles in front of the officer's car. Note that you should not count on winning a swearing contest - if it is your word against the officer's, unless you can provide the court with compelling reasons to believe that the officer is lying, the officer's word will probably be taken over yours. Why? Because the officer doesn't know you from Adam, and has no apparent reason to lie. You, on the other hand, would directly benefit from misrepresenting the facts by having your ticket dismissed. While unfair, this holds true even where you are being completely honest and the officer actually is lying about what happened. If you are going to claim that there was a physical problem at the location where you received the ticket, that resulted in such problems as the officer confusing your car with another due to an obstructed view, or foliage in front of a speed limit sign, it will help enormously if you take photographs from the relevant vantage points to document your defense. Such photographs should be taken as soon as possible after the ticket is issued, ideally under the same general weather and lighting conditions that existed at the time the ticket was issued. Sometimes your defense may depend in whole or in part upon public records or police reports. Although it may be necessary to submit a formal written request and to pay a copying fee, public records of this sort are generally available as a matter of course from the agencies which keep them. You should obtain any records necessary to establish your defense in advance of your court date. Depending upon your jurisdiction, you may be able to engage in more formal discovery with the prosecutor's office or police agency, or by obtaining a court order or subpoena for certain evidence. If you are charged with a traffic misdemeanor, the prosecuting authority will be required to make certain reports and evidence available to you upon request. Many websites advise that you take detailed notes regarding the circumstances under which you were stopped, suggesting that you can use the notes to challenge the officer's memory of the traffic stop. Courts are very much aware that in a typical traffic stop the officer will have little or no actual memory of the stop, and that the officer's memory is "refreshed" on the basis of the traffic ticket or police report from the incident. The fact that the officer cannot remember various precise details, such as what you were wearing, is not likely to carry any weight with the court. If there were elements of your traffic stop that make the officer sufficiently concerned to record such details, or to specifically remember the minutia of the stop, the odds are that you or one of your passengers engaged in conduct that was particularly obnoxious or put the officer in fear of his safety - neither of which will help you in court. At the same time, taking detailed notes may help you remember exactly what happened, and may help you later figure out the best defenses to the charge, so it can still work to your benefit to follow that advice. But be aware that you may have to give a copy of your notes to the prosecutor if you attempt to use them at trial, or as part of discovery if you are facing a criminal charge. Sometimes you will be able to defend against a charge by pointing out that there was a problem with the signage regulating driver conduct, or some other technical issue which renders the charge against you invalid. Some jurisdictions offer a great many more technical defenses than others. When investigating defenses, you should look for resources specific to your state or jurisdiction that outline available defenses that arise from your local laws. Virtually every jurisdiction is subject to stringent regulation as to road design and signage, and violations of those regulations may help support a defense to a traffic violation. State rules are usually available at a reasonable price from the agency which issues them, may be available for review at a local government office, and in many cases can be obtained for free, online. Sometimes your defense will mix technical and factual issues. For example, if following a storm a speed limit sign was obscured by a fallen tree branch, the presence of the tree branch is a factual issue, and the legal effect of having the sign obstructed is a technical issue. Keep in mind that virtually every maintenance action made by a government agency is a matter of record. For the example of a fallen tree branch, from the time a fallen tree branch was reported to the time it was removed, there should be a paper trail indicating when the report was made, when the work order was issued for the removal of the branch, and when the branch was removed. Under state laws and court rules, you may learn that some defenses are available in your state that are not available in most other states, and perhaps are available only in your state. For example, California has a "speed trap" law that provides a defense to some speeding tickets based upon the failure to properly support the speed limit with an engineering and traffic survey. That law applies only in California, and is thus not helpful as a defense to a ticket received in any other state. Much advice on the Internet focuses on how to minimize the chance that the officer who issued your ticket will appear in court on the day of your hearing. The reason for this is simple: If you are charged with a civil infraction and the officer does not appear, in most jurisdictions the ticket will be dismissed. In fact, most victories in traffic court result from the failure of the officer to appear or, where the officer is required to submit a written statement instead of appearing in person, either fails to file the statement or files a defective statement. You should anticipate that the officer will appear in court, and should either be prepared to work out a plea deal or to defend your case if the officer appears. Courts in some jurisdictions may adjourn a case when a prosecutor fails to appear, or schedule an initial pretrial where the officer is not required to appear before scheduling a second formal hearing to resolve your challenge to the ticket. To reduce the chance that the officer will appear, you may attempt to obtain an adjournment (or continuance) of your first scheduled court hearing. Adjournment increases the possibility that the officer will have other duties on the date of the adjourned hearing, and will not be able to appear in court. An adjournment can be requested by contacting the clerk of the court. Depending on local rules, you may be required to send in a letter or a more formal request documenting why you need the continuance. Please be certain to confirm whether or not the continuance was granted before you neglect to appear in court for the hearing - your request alone is not enough to adjourn a court date, and if you miss your hearing you will typically lose by default. For most traffic tickets California permits drivers to choose a trial by written declaration, and to submit a written statement of defense to the ticket rather than appearing in person. When the driver chooses that option, the officer also appears through the submission of a written statement, and the court decides the case based upon those statements. In Washington State most traffic tickets are heard by a judge based upon the review of an affidavit from the officer, and the officer must only appear in court if subpoenaed by the ticketed driver. In most cases a Washington driver will be better off defending against the written statement, trying to find omissions or defects in the statement that undermine the ticket prosecution, rather than having the court subpoena the officer and allowing for the officer to correct any errors or omissions in the written statement through live testimony. If you appear in court to contest a ticket, you should dress for the occasion. Dressing appropriately (think "in your Sunday best") sends the court the message that you take the charge seriously, and that you respect the court. Some courts impose dress codes that, although typically not excessively rigid, should not under any circumstances be violated. If you don't intend to dress for the occasion, at least find out what will get you sent home to change your clothes. Don't under any circumstances wear shorts, sleeveless shirts, halter tops, or miniskirts to court. Such clothing almost invariably will violate any dress code that is in place, and sends the message that you have no respect for the court. Do not wear a hat in the courtroom. Make sure that you know the court's policies for possession of cellular phones. Many courts forbid people from bringing phones into court, and you don't want to be late for court because you need to run back to your car to lock up your phone. Do not attempt to record court proceedings unless you first verify with the court that it is allowed. Most jurisdictions forbid you from making any type of electronic recording, and people have been held in contempt of court for making unauthorized audio recordings of judicial proceedings. In most states, an official record of proceedings is available from a court reporter. For traffic court, you may have to request the presence of a court reporter if you want a video recording or transcription of the hearing, and in some states it may not be possible to create a formal record of a minor traffic court hearing. If you have plans to make your ticket the "trial of the century", you may be in for an unpleasant surprise. Traffic court matters are often short and cursory. You may have to be quite assertive in order to convince the court to permit you to present your full defense. You may find the magistrate or hearing officer to be quite impatient with your questioning of witnesses or the officer who issued the ticket. Try to avoid being intimidated, and be prepared to explain to the court the significance of the evidence you seek to introduce, or what you anticipate learning from a particular line of questioning. If the court simply won't allow you to pursue a line of questioning you believe is necessary, state on the record the defense you are trying to establish, and explain how the court's limits will prevent you from establishing that defense. In a best case scenario, you will be permitted to continue. In a worst case scenario, you have made a better record for appeal. The easiest ticket to fight is your first ticket. Once you have a record of traffic violations, everybody from the officer who issues your next ticket through the prosecutor who evaluates your case for a plea bargain will know of your prior offenses. At the same time, even if you are unquestionably guilty, the chance of getting a really good plea offer are best when you have a clean record. Similarly, the odds of getting a break or a warning the next time you are pulled over are much better if you manage to keep that first ticket off of your record. Thus, even if you intend to take full responsibility for the violation if no offer is made, and if a prosecutor is assigned to your ticket or the traffic court, it may make sense to try to speak to the prosecutor about the possibility of a deal before you plead guilty to that first violation. If you appear in court to negotiate with the prosecutor at the time of your hearing, you may be able to determine if the officer is present, and if not you may be able to obtain a dismissal. However, sometimes it is not possible to determine if the ticketing officer is present until your case is called. Also, that approach only works in courts that both use prosecutors for ticket cases and where the officer is required to attend. If your traffic court hearing falls within a critical time for your insurance (for example, right before your policy is up for renewal), you may want to obtain a continuance to delay the hearing until after you have renewed your policy. While insurance companies do not always verify driving records before renewing policies, they frequently do. Thus, delaying the court hearing until after renewal can give you a reprieve on any increase in your premiums that would follow from conviction. In many states, the first trial of your traffic ticket may occur through an informal hearing process, with the right to a de novo appeal if you lose. If a record was made of lower court proceedings, it is possible for a de novo review to be made based upon the record and exhibits from the prior proceeding. However, as it is rare for a record to be made of the evidence or testimony, a de novo appeal from traffic court usually involves your getting an entirely new trial in the form of a formal hearing before a new court. The procedure for defending yourself at a formal hearing will generally be considerably more complex than the procedure at an informal hearing. You have a right to appeal a conviction from a formal hearing, whether following a de novo appeal or where your first hearing was a formal hearing in traffic court. However, the technical process of perfecting an appeal can be onerous. Also, it is very difficult to prevail on appeal. The appellate court's presumption is ordinarily that any reasonable inference of fact is to be made in favor of the appellee (in the case of a traffic ticket, the prosecution), and after the initial conviction there is no presumption of innocence. If you want to pursue additional appeals beyond de novo review, it makes sense to consult with an attorney about the viability of the appeal and the technical process involved.